Grilling By Judges? It’s Not Just for Moot Court. Perhaps it is because I just spent an enjoyable few weeks judging the Appellate Writing and Advocacy class moot court rounds, that lately I have taken a few detours while doing research. While reading some of the NSA phone data cases, I watched an enlightening and very entertaining appellate argument online. We may wait a long time to see video recordings of U.S. Supreme Court arguments, but the Circuit Courts of Appeal oblige us for some of their cases, which is a bonus for everyone including students. Several plaintiffs’ lawsuits that challenge the National Security Administration’s phone records surveillance program are making their way through the federal courts. 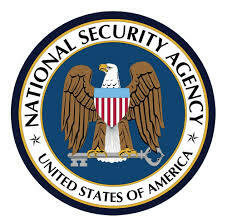 Plaintiffs in these cases have claimed the NSA data grab violated their rights under the Fourth Amendment or that Section 215 of the Patriot Act, the original basis for the surveillance under President George W. Bush, cannot reasonably be interpreted as allowing the program. For students who participate in a moot court competition, or are considering it in the future, video of the oral arguments in these cases provides an opportunity to learn something about the privacy issues and also to see the types of questions and atmosphere an attorney might expect from a federal appellate panel. The Ninth Circuit Court of Appeals heard arguments on December 8th in Smith v. Obama, 2014 U.S. Dist. LEXIS 76344, 2014 WL 2506421 (D. Idaho June 3, 2014). The plaintiff is Anna Smith, an Idaho nurse represented by her litigator husband, who claims that her constitutional rights were violated when the NSA took Verizon phone data. Ms. Smith was not a Verizon Business Network subscriber, the target of the NSA reach, but contends Verizon Wireless customers were similarly, secretly targeted. Her case in the Idaho federal district court was dismissed in June on the merits. Along with his order, Chief Judge B. Lynn Winmill issued a memorandum stating he was bound by the weight of the authority that is favorable to the NSA. But, he also asked the United States Supreme Court to decide the NSA surveillance issue, citing a “looming gulf” between the facts in Smith v. Maryland, 442 U.S. 735 (1979), which allowed the government to secure the telephone data of an individual suspect, and the NSA database that now contains millions of Americans’ phone records. Government attorneys have relied on the 35-year-old Smith to defend the NSA’s data collection program, but in recent years some courts have been willing to distinguish Smith, citing privacy violations as communications technology has become increasingly sophisticated and pervasive. See Klayman v. Obama, 957 F. Supp. 2d 1 (D.D.C. 2013), currently awaiting a decision from the D.C. Circuit. Attorney Smith got a polite but bumpy reception from the Ninth Circuit when he attempted to argue that Smith v. Maryland should not apply to his wife’s claim. Thirty seconds into the Appellant’s argument, a flurry of questions from the court begins and does not ever end. Mr. Smith holds his own and rolls with the interruptions. The extensive dialogue between the judges and attorneys for both sides spotlights the goals of moot court preparation: Know the law inside out and be ready for an intense conversation with your judges, wrapped tightly around the facts of your case and including all possible opposing arguments applied to those facts and compared with the facts of the relevant precedents. The Ninth Circuit posts selected full-length video-recorded arguments on its website. Smith v. Obama is available there. The lower court’s decision is available on Bloomberg Dockets at J. Winmill Memorandum Decision, June 3, 2014, Smith v. Obama et al, Docket No. 2:13-cv-00257, filed D. Idaho Jun 12, 2013. A brief article about the argument can be found here. Previous Previous post: Want to Have a Strong Legal Career? Find a Good Mentor.